Pivoting in life, especially in our careers, can be very tough – especially when you’re dealt an unexpected blow. Overcoming that and finding the next best thing for you can be quite a challenge. This defines Justin Recla journey into entrepreneurship. 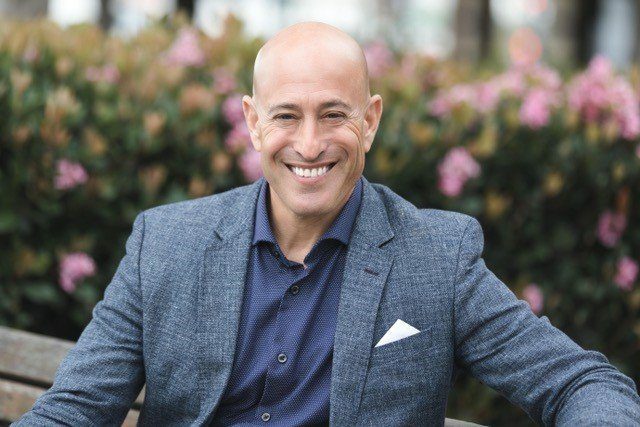 After over thirteen years as a counterintelligence special agent and an army soldier, he is now a leader in cryptocurrency due diligence and education. He’s the co-founder of CryptoBit Verified, the very first cryptocurrency vetting provider. Justin shares the skill sets from his military and intelligence training that helped him transition successfully into business. This includes the realization of how you need others along the way and recognizing the potential risks when getting involved with others. Justin talks about the blockchain technology, explaining what it is and how it is revolutionizing businesses. This is the best part of being an entrepreneur. More than anything, it’s constantly drawing more out of me. I believe more often than not, what it’s drawing out of me is more of the best in me because I’ll take a nap later or I won’t, but I’ll make sure I take good care of myself. Either way, I’m going to get a good night’s sleep. One of the things about being in your own business and I think a lot of the people in this PIVOT Community, are business owners and entrepreneurs. We’ve got some executives and people who are also considering making that transition into something else. Sometimes it’s a side gig, sometimes it’s a change of occupation like I did when out of practicing law after eighteen years into a completely different occupation, running a personal development training company. Those two things probably couldn’t be any more 180 degrees apart. There’s no question that the world is changing quickly and the speed of that change seems to only get greater every day. We’ve got to be resilient, we’ve got to be able to bounce back, we’ve got to be able to take great care of ourselves. I love how being on my growth edge means that I must pay attention to those things. The expert and a friend I have on the show will speak to some of those things as somebody with an extreme pivot story. We’ll let you determine whether if this is as extreme a pivot story as my own but certainly, we have a lot to learn from this gentleman. His name is Justin Recla. He has over thirteen years of experience and advanced training as a counterintelligence special agent, an army soldier. He is a subject matter expert in tactical questioning, surveillance, counter espionage, threat and vulnerability assessment and investigative techniques. He is a leader in cryptocurrency in due diligence and education and is the Cofounder of CryptoBit Verified, the very first cryptocurrency vetting providers. It’s something that’s going to be very important now and in the future. 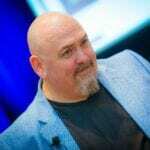 He brings his honed investigative skills from the military sector and delivers them to the boardroom to help business owners protect their two most valuable assets: time and money. Justin, what a pleasure to have you on the show. Thanks for having me. I’m looking forward to this for some time. I’m glad that we’re getting connected here face-to-face. We’re going to have a ton of fun. I read a lot of bios and I get to speak to a lot of people. This is a unique bio. I hear author and coach and lots of things from folks. Your bio is very different and unique. What’s not written in this bio that you’d like for people to know about? I’m a husband, a father and our family unit is a 24/7 family. Not only just a father, but I’m raising a young entrepreneur that you’ve got to connect with during a teen program at CEO space. That’s when I fell absolutely in love with you because my daughter got to spend a week learning from you and I get to witness her own growth that she went through. A lot of people see counterintelligence, they see the bald head, the goatee and the one thing I always get when people talk to me is, “I didn’t expect you to have those kinds of conversations,” or “Where’s your Harley Davidson?” They’ve already fragmented me into a box just because of my background. It’s a very unique background but I’m so much more than that. That’s what I love about what we do is I like connecting with people and I’m a big people person. I love the whole aspect of being an entrepreneur. I love my life and I love helping others. Counterintelligence Special Agent: Your evolution is important because it is what is going to allow others to continue to evolve as well. You and I know each other for probably a couple of years and we’re running into each other in professional circles. Both of us are faculty members for a company, an organization called CEO Space. We met there but I think we had two really wonderful connections that weren’t direct. They weren’t you and I connecting. It was first through Max, through our only son. He took such a shine to you and I know he could feel your love and then the blessing for me was to be able to spend time with the teens in that program. Your amazing daughter is something special, it’s very rare. She’s not a teen but let’s get this right, is she eight or nine? She is a remarkable young woman. She’s a public speaker. She’s spoken to thousands of people at a single time in many other venues and places around the world at this point. What does it feel like to be raising a kid and curating an environment for a kid that is that precocious and I mean that in the absolute best way? Here’s a kid who is a combination of both bright, sensitive and sweet. Sometimes you get a bright kid, they’re a little reticent, a little shy and you can’t really connect with them on an emotional level. Sometimes you get kids that are very much emotionally available and fully expressed and you can’t have an intellectual conversation. She was as incredible as somebody who I felt in the course of the classroom that we were in together, we could go anywhere. We could have an emotional intelligence conversation, we can have a conversation about business strategy, structure and I found that she’s a very unique girl. How is it that you’re curating that environment for her? That’s the way it is but I’ll sum it up and I’ll bring it back to that entrepreneur mindset. When I first stepped out of government back in 2011 and I was on my Harley looking at pivoting back in 2010. When she was born, my wife and I were both told that in order for her to do what she came here to do, I had to deal with my stuff and that was a wakeup call. She’s become my mirror. She reflects back so much to me and she’s literally like my little barometer for not only what’s going on in the environment, but what’s going on for me internally. For me, raising her that way as not for first and foremost, by all means, we’ll take full credit for being parents but I will not take full credit for who she is. She is who she is because she gets to spend weeks at a time with people like you, going to business conferences. People like Berny Dohrmann and all these people that have been my mentors like Greg Reid. She just spoke at Secret Knock and people like that that she is interfaced with who have looked at her as a person and given her that room. As a father, especially as a former counterintelligence agent, there was some fear around how public she is and all those kinds of things. All the traditional dad stuff of protecting your children and whatnot, I had to not only deal with my own issues being in the limelight but what is it like for her to be in the limelight. I had to deconstruct all those things. What is it like? It’s work. It’s worth every penny and every moment because I see the product that it is creating and how she shows up in the world. At the end of the day, my own evolution is the most important because it’s what’s going to allow her to continue to evolve as well. What a beautiful way that you just connected the dots there because we’re not always feeling at our 100% best and yet there are things that will draw the best out of us and being a dad myself, Randi and I are raising four kids and still have one that’s in the house. Three out and their wings are spread, they’ve left the nest and everybody’s knock on wood. They’re contributing, they’re doing great things and one still to leave. I can say being a parent draws the best out of you or draws out of you. The mirror is a good way to describe it because sometimes what it draws out of you isn’t the best. In fact, it can trigger and bring to the forefront our own emotional trauma from childhood, our past stuff that repeats and comes up and the kids can trigger that. Either it can make you more of what you want to be or it can make you more of what you don’t want to be. You have no easy time of it since your wife, Tonya, is quite a mirror for you as well. I married my guru. A lot of people hired them and then they can fire them when they’re done growing. I married mine and that was one of the things that we committed to along the way was that we would constantly hold each other in our highest. I give her full credit for the insight and holding me accountable and loving me through it. Not ever letting me fall and always catching me when I slip up and mess up. You’re going to do that along the way whether or not you’re wanting to own it. Actually, I’ve had interesting conversations with celebrities and friends that they literally come up. They’re like, “How do you do it?” I’m like, “How do I do what?” They’re like, “How do you be married, work with your wife and do the 24/7 thing? How do you do that?” It comes down to my evolution is more important than any other experience that I might want to have. How I engage then with the world, how I perceive the world and how I’m able to contribute to others only comes from that place of my own consciousness, my own awareness. To be able to do that in partnership with somebody that has been there along the entire way is to me, there’s nothing more rewarding than that. What I take away from that is that your own evolution is more important than your comfort level. It extrudes business. As in life, if you’re not growing, you’re dying. It’s the same in the business. If it’s not growing, it’s dying. Regardless of whatever you do in the world, even if you’re an employee, there’s nothing wrong with it. What does make the experience that you have of whatever it is that you’re doing is your own perception and understanding of who you are and how the world works. You could reach enlightenment, shovel horse dung and still be the happiest planet person on the planet. It’s a cycle and what I love about it is that even if you worked through something and you’re like, “I’m never going to see that again.” No, you’re going to see it again but just at a whole other level. It’s all about continuing to uplevel. That’s where one of the biggest downfalls of entrepreneurs is not really understanding how money works. Recognizing that your $100 problem now becomes $1,000 problem, which becomes a $10,000 problem. It doesn’t matter, it grows and if you don’t handle it at the root in your business, in your mindset and who you are, it won’t matter. You and you’re beloved met in the intelligence space. Was it the military space or the intelligence space? Counterintelligence Special Agent: The biggest mistake you could do is jump right out of the game just before winning. It was the counterintelligence space for the military. My wife had her career and I had my career. We both found ourselves teaching at the counterintelligence special agents’ course. She had been on very top-secret teams. She did set and done surveillance and been in a court case where she testified an actual espionage case. I was over in Iraq and so forth. We met up there and immediately hit it off. We were teaching a class about critical thinking and whatnot that she and I developed. We taught it for the next year and a half. During the big drawdown in 2011, we saw the tidal wave of unemployment coming and decided that we were going to take essentially the mindset training that we were doing with our agents, the critical thinking stuff and we’re going to take that into Corporate America. When we got out, people found out what our backgrounds were and they said, “No, you’ve got to do for us what you did for the government.” That’s what started our due diligence risk mitigation program. My wife has built up her coaching platform since then and has an organization that helps train coaches. We had no clue as to what being an entrepreneur is about in the counterintelligence world. First off, the old saying, “Counterintelligence people automatically equate them to spies.” The old saying “Old spies never die, they just fade away,” it’s true. People that have our type of experience, they end up staying in the military for a career and then transition into a very similar civilian job and they get lost in that corporate sector. You stay a counterintelligence agent. If you’re not over the season that you’re a boxer, you’re teaching a skill set or supporting missions somehow using those counterintelligence skills. First off, it’s hard to find a job using those skill sets and two, once you’re in, you typically don’t get out because it’s not designed for civilian jobs. It doesn’t translate over specifically. Most people get out and they’ll go into being the closest to it as possible, maybe law enforcement or private security or something close to that. The overall encompassing thing of everything that we did as an agent, there’s nothing that encapsulates that in a job setting. With the exception of corporate counterintelligence jobs, which are very elite type of programs. You only get those after you’ve typically done a full career in the military, a full career in the second job and now you’re on to halfway through your second career. There are lots of jobs in those positions but we didn’t know what to do. This corporate training that we were going to do, I was like, “We can do that.” We literally had to pivot out of the military mindset into a business mindset, not knowing anything about business. That’s where we found CEO Space and we had to learn all of that. There are a couple of things I’d love to know. I want to have you share what you think is the biggest mistake that you made early on in that new budding entrepreneurial setting. What are the skill sets that you were able to utilize well so the pivot was a smooth transition and pivot from the skills that you were using in the military to the ones that didn’t translate so well? The skills in business that you weren’t equipped for based on military and intelligence training? The biggest mistake we made was jumping right out of where we were at the top of our game, into not knowing anything about business. We went completely out of sequence in developing our business when we first got started. When we had to pivot again after that and the first mistake that we made is like, “We’ve got a great idea.” We never sold a thing. We don’t have a product developed. We don’t even have a way for anybody to buy anything about me. I’m not too sure what a contractual agreement looks like and all those kinds of conversations. Yet, we went out and spent $9,000 to form our corporation so we can go out and raise $3 million because we thought we were the greatest thing since sliced bread. That’s a really telling lesson right there for a lot of people to hear that. First of all, we definitely want to know that the way the story ends is that it was an experience you had to have. It was required on some level and it has led you to the point where you’ve had a great success thereafter. It shouldn’t stop anybody to hear that that was the mistake but a lot of people make that mistake. Based on a lot of people we interviewed for the book, Pivot, and others that we’ve worked with, that can stop a lot of folks. There’s no question that that could stop you dead in your tracks and truthfully, it also is perpetuated by the myth that when you’re making a transition, a change or a pivot, that you should jump ship and burn the bridges. Go all in and it’s a romantic notion and one that the media, movies and TV perpetuate that. The people who succeed based on that are the outliers and more within the bell curve are people like yourself who has a great idea, a great thought, great enthusiasm, all of it made sense to go forward. Except you didn’t know anything about contracts, didn’t know anything about sales, didn’t have a product to sell, didn’t have a platform to sell and didn’t have a website. All that stuff is not set up for success at that moment. One of the beautiful things is that when we took that leap, we still had our top-secret security clearances. We fell flat on our face, which we did because we took the jump not knowing what it was going to look like. We didn’t raise the capital and we didn’t have anything to move forward on or live off and so forth. I picked up the phone and ten days later, I was in Afghanistan. I was able to get a job quickly while Tonya learned everything possible there was that needed to be known in business so I could come home and we could take the leap again. It wasn’t for another three years that we took the full leap. I was still doing background investigations for the government at the end of 2013 and the beginning of 2014. I said, “We’re done,” and we took the full leap at that point in time. It took us four years to get to the point of being able to understand what business was, how it works, how to market, how to connect, how to network and how to sell. A little thing like that and at that point in time, that’s when we took the full leap and we mailed everything back, my top-secret security clearance has lapsed since. I’m technically unemployable right now in the old sector that I used to be. It feels good to be unemployable because from where we started in falling on our face, we’ve built up two very successful businesses and we’re raising a nine-year-old who’s on her own path. I didn’t realize actually that our paths were so similar. People say, “Adam, it’s amazing. Your own personal story as a miserable lawyer to a very different experience of living and all that kind of thing. How did that happen?” It very much was the way you described it. I didn’t come home one day and say, “We’re done. I quit. I’d turned in my law degree and everything else.” It took two and a half, almost three years and it was through that process of both learning and making mistakes, but having something to fall back on. The mistakes didn’t wipe us out and they didn’t really put us in jeopardy of being wiped out. Maybe being a parent gives you that sense of, “I need more of a safety net.” I’m sure I was playing it more cautiously than I needed to or could have but I wouldn’t do it any differently. Time goes by so quickly and to plan what we call “Make your plan B,” or build that second bridge while still maintaining the first one that you can drive over and not put your family or other things in jeopardy is an effective way to pivot. It sounds like you did the same thing. It’s probably the fastest track to moving forward where a lot of people fail in that pivot is they get to a point of comfort where maybe they’re just bringing an extra $500 or $1,000 a month. They go from, “The big dream,” to “We’re comfortable here.” The thing I always tell my clients that I work with is if it doesn’t hurt, it doesn’t scare you, you’re not doing it big enough. If you can do it to where you’ve got a bit of a safety net, you transition in and have the patience to learn what you need to learn, to identify what the pain points are for you. Not only in the business, not only in money but also in the personal development piece. There are relationship issues, there are mommy and daddy issues that are going to come up. There are all sorts of things are going to come up that are going to give you hard decisions to make in your life. You’re going to have to decide whether you want more or do you want this? Doing it with that safety net is important because you can’t help anybody. That’s why people become entrepreneurs is to help people and make money so they can help more people. You can’t do that if your own coffers are empty. It’s very difficult to serve from an empty cup. It’s interesting because you also have to fund. A part of this is funding the pivot. It’s funding the evolution. I don’t mean just in money, but let’s say there’s quite a bit of money that’s also expended in learning enough to be able to move elegantly or gracefully, masterfully into something new and different. If you’ve never driven a semi, you’ve driven a moped, you don’t just go get behind the seat of a semi or even a car and think you’re going to drive an eighteen-wheeler. That would be insane. You’ve got to learn, you’ve got to have that gradient to learn and to eventually go from being unconsciously incompetent, which is probably the most dangerous thing. Unaware of the facts that you don’t know very much. 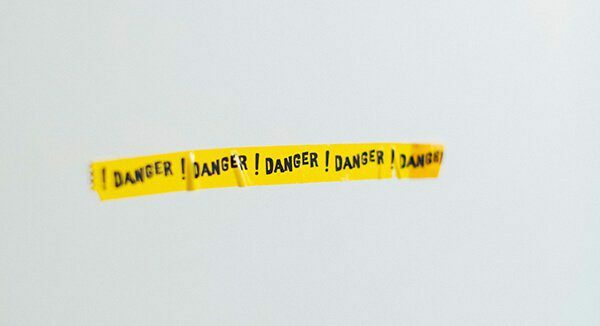 If you think you know more than you actually do, you are a danger to yourself and to others. Counterintelligence Special Agent: If you think you know more than you actually do, you are a danger to yourself and to others. The biggest thing that will keep people stuck, especially on many places is not truly knowing what they want. They’ll give it a little bit of service, but they don’t ever sit down and decide what that is. They’re like, “I just don’t want a job.” I’m not talking about what you don’t want. What do you want? Plan it from there, what drives you and neither will tell you. Find something you like to do and find a way to make money at it. If feeding the homeless makes you happy, go feed the homeless and find a way to make money at it. You can do anything with the right mindset. If you’re in this situation to where you’re pivoting, you’re in a job or if you’re in the military, I want to reach out to you. I’m happy to have a conversation with you. Two, focus on, “Where do you want to go? What does it look like?” so you can pivot and you know what questions or what things you need to be looking along the way. It’s a lot easier if you do that and have the foresight to look ahead and plan. Otherwise, it can be a really rough road. Along the way that I’ve made, I look at some of the best things in my life, in the moment, the worst experience is the biggest mistake and it takes a while before a big mistake transmutes into something that you’d look back on and go, “That was great. I’m so glad that happened to me.” This is one of those things where as a result of being in partnership with some people that I definitely didn’t vet, didn’t look into and frankly didn’t know well enough. I lost a bunch of money and had some other agita as a result of it. I ended up putting a section in the book, Pivot that was all about pivot people, the people that are on your team. When you said about pivoting that a lot of it is that mindset piece. It’s knowing yourself, it’s getting clear and it’s also getting clear that most of the success that I’ve seen in my own life and in the lives of a lot of other people didn’t come as a solo act. Even solo acts have a great support team with them all the way. Even getting a book done. It took a village to produce this book, to market it, to sell it, to continue to market it and all the rest of it. It’s a team effort and it’s important as part of the process of pivoting, whatever it is that you’re pivoting into or out of that you are focused on having support and that means a team. One of the things I love about the work you do is you have a company called Clear Directory. We’ve used your services and I think it’s one of those things that when you’re starting a new business or even in the business you’re currently in, it is a good idea to know who you are in bed with. Who are you in business with? Having been a lawyer for eighteen years, you think that I would have thought that way but it was like the shoemaker whose kids walk around with holes in their shoes. It wasn’t something I was focused on until you and I met. Tell us a little bit about that because that is one of the entrepreneurial pursuits that you created. That’s one of the things that we assist people with this is because you wouldn’t ever thought about it. Most people in business don’t because the term due diligence, when it’s applied to business, people are simply like, “I did my due diligence.” Meaning that they checked him out on their Facebook page, they had their lawyer reviewed the agreement and they liked the conversation that they had. They don’t really take into consideration what the potential risk is when getting involved with certain people depending on what level you’re getting involved with them at. Partners, CFO for hire, anybody that you’re outsourcing where it’s going to cost you a lot of your resources, whether it be time or money. Most people don’t think about due diligence beyond contract review and, “I like the person.” We bring that whole counterintelligence perspective of what due diligence is and we look at not only the business or the opportunity itself, but we look at the people involved. Understanding that the culmination of the business, of the person, of their history and of what was said, what was promised and a history of success and so forth, all paint a picture of really who you’re getting involved with. Oftentimes, most people get involved with somebody because they liked them and they find out three weeks later that they can’t do what they say they can do. Then they lose a ton of money or they get involved with somebody because they’ve done the mechanical due diligence. Sure enough this person has done this, but you find out three weeks later the person’s a jerk and you can’t communicate, it’s not a good fit. We like to tell people that you have to do both. You have to build that relationship and make sure it works and you have to make sure that they’re not fraudsters and they’re not scamsters. They’re not going to just take your money and they can actually do what they say they can do. Fraud and scam in the business world is not always actual fraud and scam, it’s ineptitude and it’s more. I don’t know that I would have given $500,000 of money or some other number to invest in something. Somebody had said, “There’s a 50/50 shot here and here’s why. By the way, this person that you’re about to partner up within business, did you happen to know that they’ve had a few partners in the past, they didn’t really get along with their partners too well? They ended up getting sued by their partners and that kind of thing.” That’s valuable information to have going into a relationship because it is in many ways as in partner relationship, a business partnership is like a marriage. A business divorce can be as ugly as a marital divorce. In fact, it can be uglier. I used to handle a number of those cases as a lawyer. The crypto space is confusing to a lot of people. There have been a lot of misrepresentation that’s been a part of that. Do you think there’s a bonafide opportunity for people? If so, the show really isn’t intended to give that advice. If you’ve got a sense of where you see the opportunity in blockchain technology and cryptocurrency is an element of that, I’d love to get your thoughts on it. Do you think that there’s been so much fraud in the space that it’s going to take a bit of time now to reestablish, not just credibility but the trust of the public in regards to it? The biggest thing is understanding the blockchain technology. Blockchain is revolutionizing all sorts of business. Amazon’s talking about it, Apple, everybody’s talking about blockchain. The opportunity in cryptocurrency, there’s a ton of fraud out there. As a matter of fact, there were the resurgence of frauds and scams that we’ve seen in that industry. It was big back and a boom into 2017. It occurred over a little bit until the beginning of 2018. It left a lot of bad taste in people’s mouths because they got in on the hype. Grandma and grandpa decided to buy some Bitcoin but they bought it when it was at 20,000. There are the media manipulation, the bank manipulation and the market, all those kinds of things. If you understand how money works, if you looked at the Fiat system and understand central banking, understand the issues with the global debt and so forth, it’s just a matter of time before there’s going to be some system reset. Crypto is definitely going be a new way of doing business. If you understand the markets, you understand and you’re treating it as an investment, you’re buying and selling or you’re playing the long-term whole because you believe in what the company is doing. You’ve done your due diligence on the opportunity, whether it be a security platform that you’re buying into or just Bitcoin itself. Understanding the markets is what’s key. I think the opportunity is huge. As a matter of fact, we’re getting ready to put together a very elite mastermind around it that’s going to be teaching people about crypto. Some of the mindset of personal development training plus we’ve partnered with professional trader that’s going to help people learn and understand how to make money in space. It’s going to be a very unique opportunity but there’s a ton of money to be made in that space. I’d like to tell people you have to learn about cryptocurrency now or you’re going to learn about it fifteen years from now because it’s not going away. It depends on what does it look like? How do we use it? How do we engage it? How does the technology advance? As more people come online and accepting it, it’s going to be creating even more opportunity. 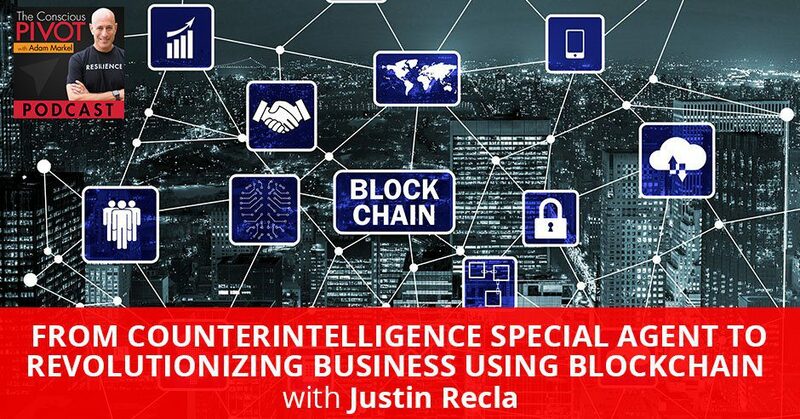 Counterintelligence Special Agent: Blockchain is revolutionizing all sorts of business. It’s not a whole lot different than how the world received the technology of electronic mail. We take it for granted certainly, that it’s been around forever. It hasn’t been around forever and I didn’t grow up with electronic mail. I didn’t grow up with the email. I didn’t grow up with the internet and neither did you. We didn’t grow up with fax machines. The beeper was something we were using when our first two kids were born. I was in law school and I had a beeper. I had to go find a pay phone to find out if Randi was in labor. Technology’s definitely one of those things that there’s always early adoption and sometimes the early adopters, they’re like the pioneers because they had the arrows in their backs. They’re the ones that took the risk to get to where they were. You can’t get to any place without those pioneers. There’s definitely a great opportunity ahead of us. I have people that are still saying in various places that I meet them, “I don’t know now what blockchain technology is.” I know we won’t get up into this in great depth but can you explain it for a person or layperson? What is the blockchain for them? It’s updated in real time and like the old example of having the second set of books, the proverbial books you cook. There’s no possibility. There’s an opportunity for that type of fraud to exist because you can’t have a second set of books when it’s being publicly verified across thousands and thousands of computers. There’s no way to enter something or erase something that was an entry without everybody knowing about it. It may be an oversimplification. The easiest way of explaining it is understanding that. That’s why blockchain has been developed because people were tired of people cooking the books. That’s how where Bitcoin came from is like, “Let’s create something that you can’t make more of.” The basic Law of Supply and Demand; the more there is, the something less value it has. The global debt is something like $98 trillion. There’s only $38 trillion in existence. Where’s the new money coming to pay that new debt, especially with interest? That’s where it came from. I love the concept of cryptocurrency and where it’s going. I truly believe in its future because with Bitcoin, with cryptocurrency, there’s a level of self-dominion that you have to have. It gives you full responsibility over your own financial well-being because there are no banks, there’s no insurance. It solely lies on you and we understand that and recognize that you don’t have to pay a merchant fee. You don’t have to pay a feed at the eighteen just to get your own money back. You are your own bank and that self-dominium piece of, “I have full control over every aspect of my life.” The financial sector has been one of the last places in human development that we can attain that because of the standards that we’ve put in as a society saying that money is important so we can exchange for goods and services. The bank system monetized that. They control the money, they have all the powers, they put us in debt. We can have a whole other conversation, but with cryptocurrency, I have my money on my phone. I have my money on my wallet and if I lose it, it’s my fault. It’s not coming back because when I hit send it’s gone and they’re not getting it back but you’ve got to know how it works and understand it. There’s a level of technical upleveling that you have to do and it’s super easy once you’ve figured it out. When you can sit back and frame it around like, “My fortune, I can manage in real time on my own terms and I can build digital wealth using cryptocurrency.” That’s huge because a lot of people would have theories though. The government will step in. What government? It exists on the internet and if you have the code and you tapped in the network then you and I can send back and forth. There’s nobody stopping us from doing transactions. I like to stay on the right side of the right to paying your taxes, do your Bitcoin accounting. If you don’t know how to, reach out. We’ve got solutions for that. Understanding the freedom that it brings to you as an individual and recognizing that you don’t have to worry about a bank or the weekend or overdraft fees or anything like that because when you’re your own bank, there are no overdraft fees. You either have it or you don’t. The blockchain, that’s what that solves and that’s what drives the value of Bitcoin up and other currencies that are actual true currencies up is the more people that use it, the more people that want it, the more influence it has within the markets. There’s a lot of market manipulation going around because of the ETF’s. “Are they going to get passed? Are they not going to get passed?” That big monies, institutional monies manipulating the market a bit still, but as more and more people come on board, 95% of the world even don’t know on how to utilize Bitcoin. Can you imagine? The price is $6,500 a bit. That’s only with 5% of the world using it. What’s the value of Bitcoin going to be when we’re at 20% of the people or the world using it? What’s it going to be when there’s 50% of the world that are using it? What’s the value of it going to be then? It’s a good time to be alive. I enjoyed the conversation of dominion and helping people with where they’re at in life. I’m excited that you’ve got your mastermind getting started to help up people learn more about this, educate them and have expert folks that are really on the forefront of that teaching. Before we started, I asked you if you personally believed in the power of rituals in order to be more resilient as a business owner, as an entrepreneur. I’d love to know what your thoughts are on that. Do you have a particular ritual that you use at a certain time of the day to help you to create that resilience? For me, it’s every morning. The first hour and a half, two hours of my day is drinking coffee and mind mapping, discussing, exploring the previous day, that night’s dreams, whatever with my wife. Really exploring what’s showing up for me in the projection, what’s coming up and how I can move through it, how I can respond to it. For me, it’s that connecting with her in that space or taking some time to myself to read something about where I’m at and what I’m dealing with or what’s coming up for me and moving through that. To me, that is the most important and oftentimes throughout the day, something will come up and just get a step away and examine it. Don’t let it fester. Don’t let it build. I like to take things head-on as they come along. When I start my every day, my morning ritual is to connect in that sacred space with my wife. It’s a special time in our house too. I love to sit and just have a cup of coffee with my wife and to be still. You don’t even have to speak sometimes. It’s depending on how I’ve been behaving, sometimes it’s better I don’t say anything. This has been very enjoyable to talk and I know that this is the beginning of so many wonderful collaborations we get to have together. We’d love to hear from you as well and find out what you learned and what you took out of this particular episode. Please feel free to leave a review or leave a comment at AdamMarkel.com/Podcasts. Our Facebook page welcomes you. If you want to be in a community of like-minded, like-hearted Pivoters, then you can go to Start My PIVOT Community on Facebook. You can get our free downloadable kickstart guide. Six questions to help you determine where you are in your Pivot. Are you building that bridge, that plan B right now or is something already happened and you’re making the change on the fly? Wherever you are in that process, the Kickstart Guide will meet you there and support you. It’s free and it’s yours as our gift by going to StartMyPivot.com. I want to leave everybody with a prayer which you can look at it as an intention if prayer doesn’t work for you, but I really feel that power prayer is so important. It’s so much more important in my life now than it ever was before. I don’t assign any religious meaning to that. For me, this is a place for me to connect with myself at my core, also to connect with my own understanding of creation and where I’m supported by my creator. We all have different names for that. Whatever you call it and whatever it might look like for you, I want to share this thought and see if it’s something that might also provide you with the same benefits. The prayer is that we all get to wake up tomorrow and I don’t think I’m going to get much push back from anybody about that. We got to wake up now and that was not a guarantee. There was no contract that said we were going to get to wake up, but we did and that was a blessing. I’m hoping, intending and even praying for that result for all of you that we all get to wake up. In that moment of waking, that we also are waking up our consciousness by reason of the fact that we recognize it’s not a given that we get to wake up and therefore it’s something we can be grateful for. We wake up tomorrow. We’re grateful in that moment for that waking breath knowing there will be people taking their last breath as we’re taking our first. Lastly, as Justin said at the very beginning, and I’ve got written on my tee shirt is the words, “I love my life.” If you’re willing to stand up, put your feet on the floor, even from your bed and declare these words out loud, “I love my life. I love my life. I love my life.” That would be an incredible intention for what you could experience that day. You get to try it on for size and see if it works. Thank you so much, Justin, for being on the show. 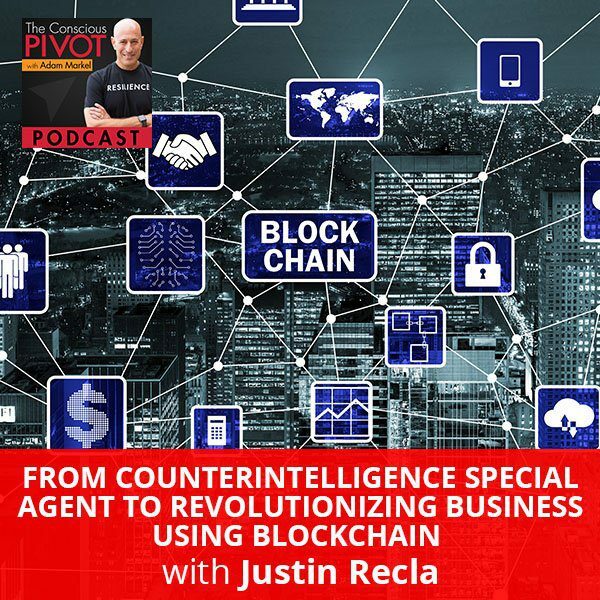 Justin Recla has over 13 years of experience and advanced training as a counter-intelligence Special Agent and Army soldier. He is a subject matter expert in tactical questioning, surveillance, counter espionage, threat and vulnerability assessments, and investigative techniques. He is a leader in cryptocurrency due diligence and education and is the co-founder of CryptoBit VerifiedTM, the very first cryptocurrency vetting provider. Justin brings his honed investigative skills from the military sector and delivers them to the boardroom to help business owners protect their two most valuable assets: Time & Money.